You aren't imagining it -- your computer is slower than it used to be. And it's not just because it's rife with shady malware and viruses that you picked up illegally streaming all 12 seasons of Murder She Wrote last winter. The truth is that simple day-to-day use can cause your machine to creep to a crawl over time. 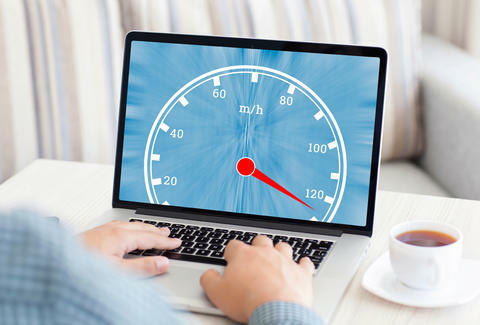 But you can put an end to the suffering right now with these 11 tricks that will instantly boost your computer's speed. Unless there’s a good reason for Spotify and Photobooth to open every time you reboot, you should disable them. 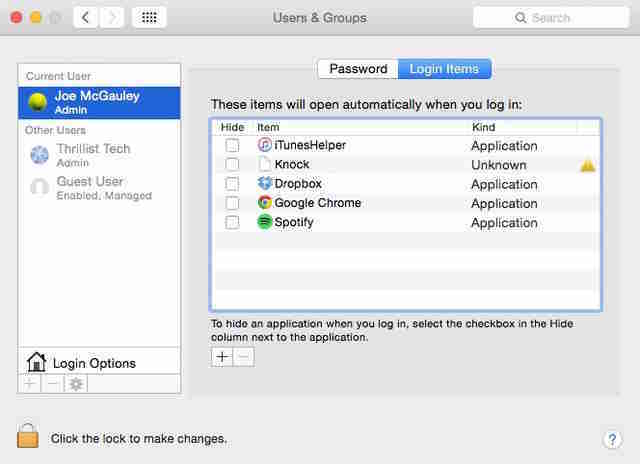 On a Mac, open System Preferences > Users & Groups > Login Items and de-select any that you don't want automatically firing up. On Windows, download this utility, which allows you to disable startup programs individually. Follow these instructions to run a disk cleanup, which will delete a whole bunch of temporary and unnecessary files on your drives, and noticeably boost speed. Unless you work for Rosetta Stone, odds are you’re not using anywhere close to all of the foreign languages that are installed on your machine by default, and they’re just sitting there hogging space. On a Mac, you can remove as many as you want using the tool Monolingual. 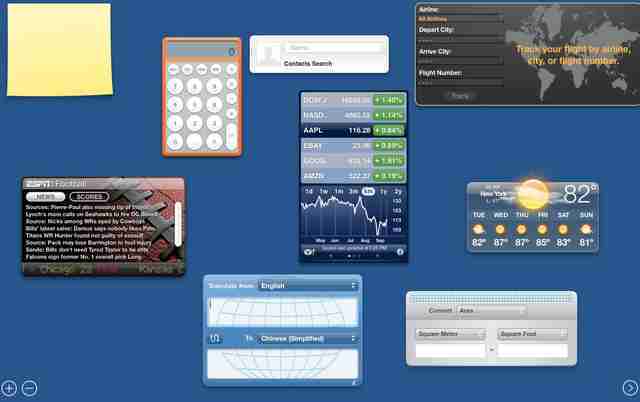 On a Mac, delete any widgets you don’t regularly use from the dashboard. Running them in the background is a waste of your computer's brainpower, and honestly, when was the last time you looked at that stock ticker? The 400+ photos from your vacation in Cabo that you took 3 years ago aren’t doing you any favors -- in fact some are borderline incriminating. But if you insist on keeping them around, consider offloading them to an external hard drive. You can easily track one down for under $100, and it's the best solution for storing music, videos, and other storage-hogging media. Those incessant pop-ups asking you to update your software aren’t just there to annoy you. And even though they take for freaking ever, they’re worth it. To check if what you’re running is up to date on a Mac, go to “Apps” under the Apple icon menu and click on Updates. On Windows, click the Start Button > All Programs > Windows Update > Check for updates. Tabs are a blessing for the ADD kid in all of us, allowing for back-and-forth toggling through an endless stream of your favorite websites. Bad news: that's killing your computer. 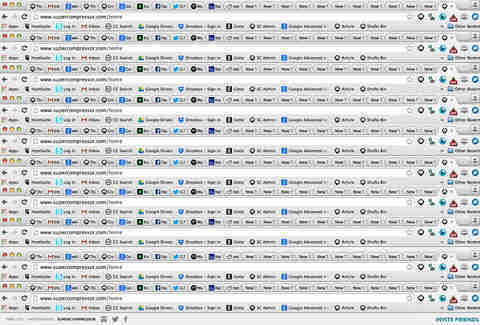 On most modern browsers, like Chrome, each tab runs its own "Chrome Helper" in the background, silently eating up a ton of memory and potentially paralyzing your computer. Get in the habit of using two to three tabs total and bask in the sweet, sweet glory of speed. Any applications lurking on your computer that you haven’t opened for months (here’s looking at you, GarageBand) are taking up disk space and would do just as well in the Trash Bin. It’s also possible that you're currently running a single program or two that's responsible for the intense slow-down. To check how much memory your open programs are using in a given session, on a Mac go to the Activity Monitor and click on the Memory tab. On Windows, open the Task Manager and click on the Processes tab. If you can live without the flair of shadows, animations, and fadeouts while you're working (you can), turn them off to improve performance. Click Start > Control Panel > search for Performance Information And Tools > Adjust visual effects and deselect all that excessive flashiness. And no, putting your computer to “sleep” is not the same thing. Important maintenance tools run automatically when you reboot, so get into the habit of restarting or shutting off your machine on a regular basis to keep things running in tip top shape. 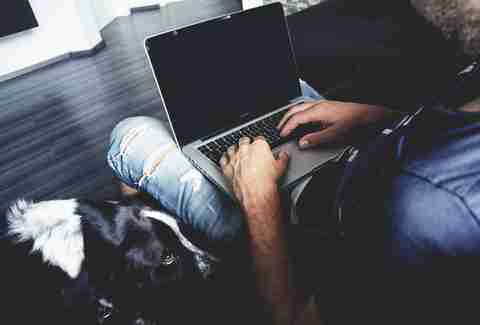 If your laptop is hot to the touch, it means it's working too hard and needs to cool down, especially since prolonged overheating will slow its performance in the long-run. The best strategy is to keep it well ventilated at all times, even point a fan in its general direction if possible, and use it on a flat surface that allows for proper air flow underneath. Bad news for your totally healthy Netflix-in-bed habit. Joe McGauley is a senior editor for Thrillist Media Group with a crippling addiction to tabs.